If you read the teaser post about my next trip, saw the regular updates and check-ins on social media and the numerous photographs documenting turquoise seas, extravagant food and an unhealthy obsession with Key Lime Pie, you’ll be well aware that I have just returned from a fantastic trip to the Florida Keys. If you somehow managed to avoid the above-mentioned onslaught (whether deliberately or not) I was invited to take part in a blog trip by the Nordic PR office representing the region. 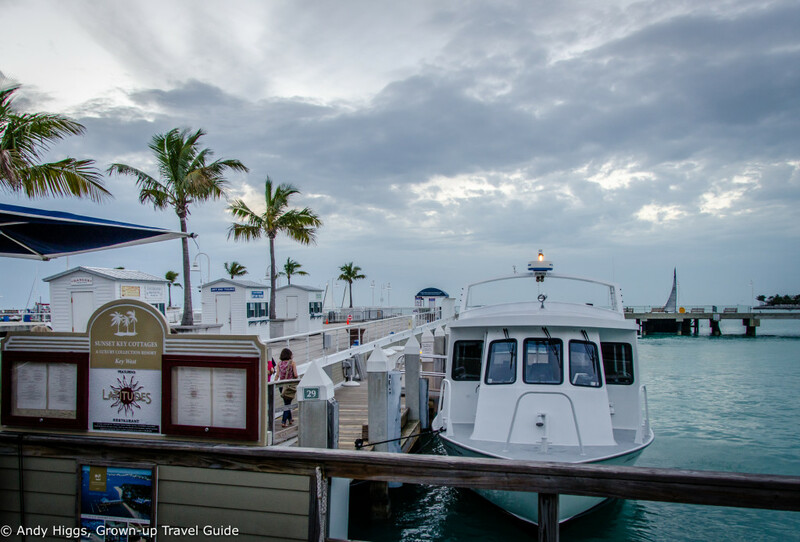 Along with seven other bloggers from the UK, Germany, the Philippines and Sweden I was treated to a whistle-stop tour of the Florida Keys. It’s a destination that really deserves to be enjoyed slowly, sipping in the atmosphere rather than drinking it down in one gulp – but of course I’m not complaining. Just factor in an extra week when you visit, you’ll not regret it. 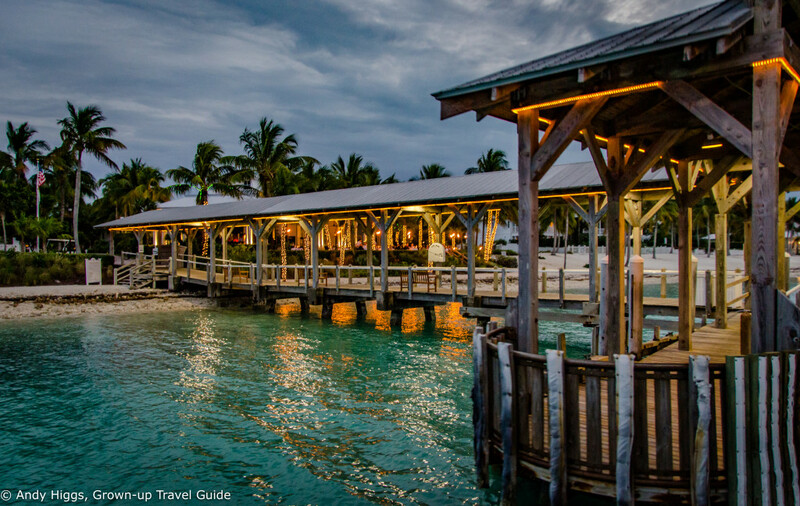 I have been to the Keys before; or rather we drove the fabulous Overseas Highway from Miami to Key West and spent a couple of nights in the town at the end of the road. We all loved the experience and vowed to return to spend more time there – I left the place last week making precisely the same promise. With so many great experiences packed into four and a half days I have plenty to write about. 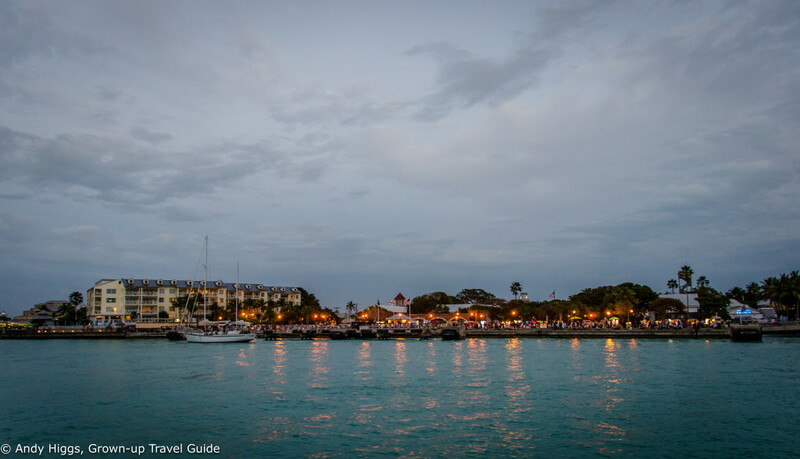 I’ve decided to split the report into several articles – this one will cover Key West, another will cover our time in the Middle and Upper keys. 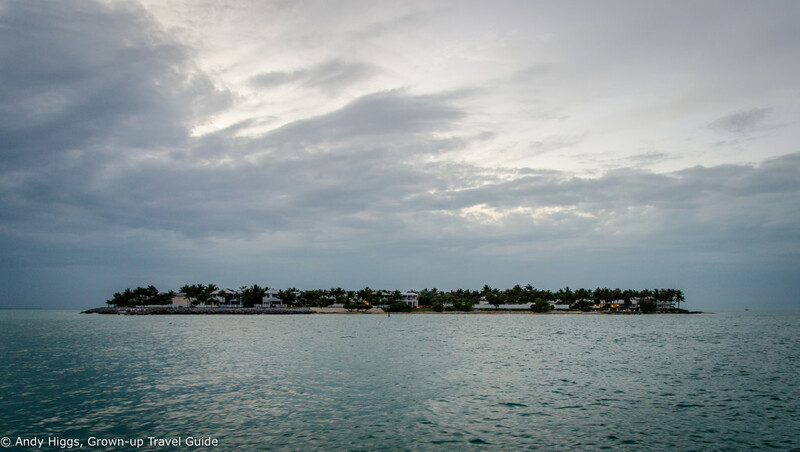 In addition, I’ll write separate reviews of the two hotels we stayed in, an article on most of the “Bloodline” locations you can visit (I still cannot fathom the fact that I was the only blogger who had watched the series) and possibly one on Key Lime Pie. I was a guest of the tourist board on this occasion although last time I paid for myself. My opinions are my own either way – there’s little not to love in this part of the world. 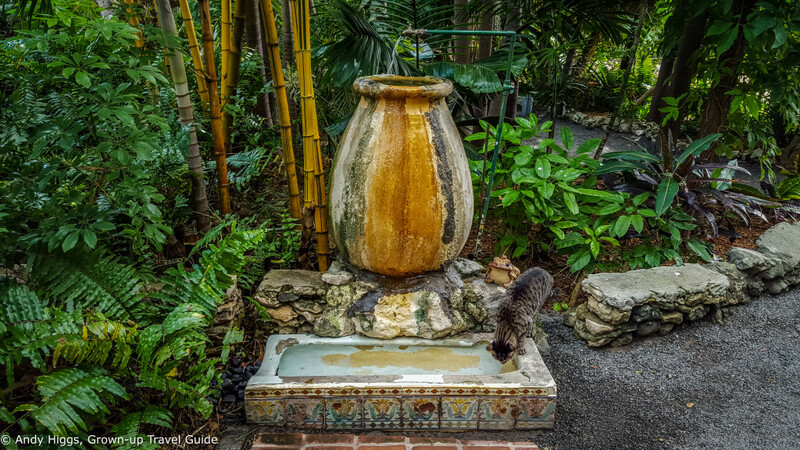 Key West is exotic in many senses of the word. Closer to Cuba than to mainland Florida, it is also a world away in terms of attitude and tolerance. 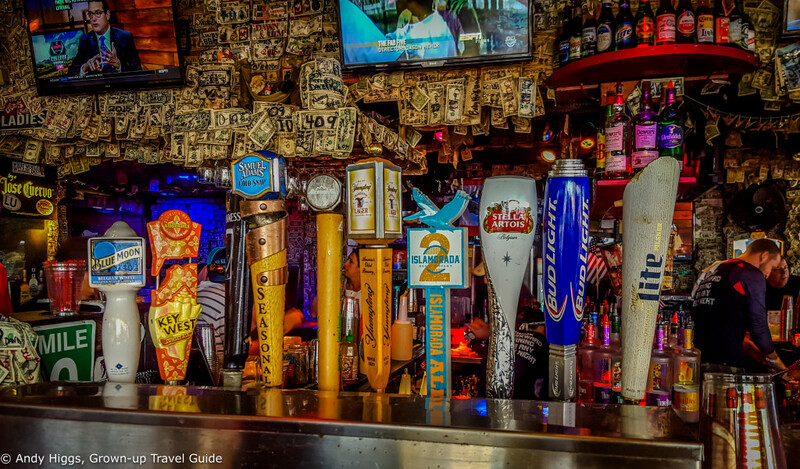 One expression you will hear time and time again used to describe Key West is “laid back”. Visitors from abroad and especially from the rest of the USA are often taken aback by the locals’ friendliness and the fact that they greet total strangers on the street. It’s far from a well-kept secret though – the 30,000 or so residents host over a million tourists each year and the town has been cleaned up since its wilder past. Nevertheless, hedonism – and fishing – still rule, but beyond those two pursuits visitors will find plenty to occupy themselves on this unique island. 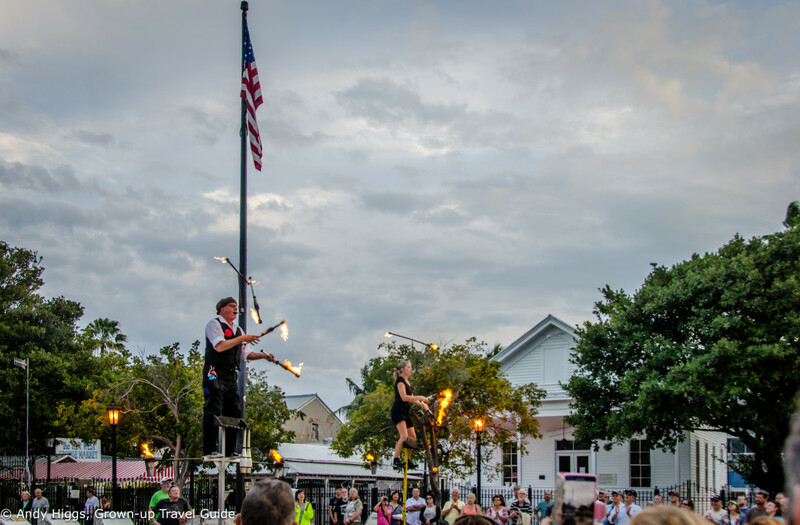 Key West’s history is as colourful as its streets – did you know that it was once the richest per capita city in the entire United States? Previously best known for the pirates that terrorised its waters, in 1823 the US Navy established a base here after Florida joined the US. A wrecking industry then flourished, earning millions from rescuing people and cargo from ships stranded on the reef. Lighthouses killed off the wreckers at the end of the nineteenth century yet Key West adapted to the change; Cuban immigrants made cigars and Greek ones processed sponges. It was not to last; strikes and disease moved both industries from the island and the Depression hit the town hard. Key West went bust. Respite came in Roosevelt’s New Deal but the Labor Day hurricane destroyed the railway which at the time was the only land connection with the mainland. Trains were abandoned in favour of the automobile, with the railway bridges converted for road traffic (albeit single-lane traffic). The Navy helped Key West through the war years by pumping in money and tourists began arriving en masse in the 1980s. 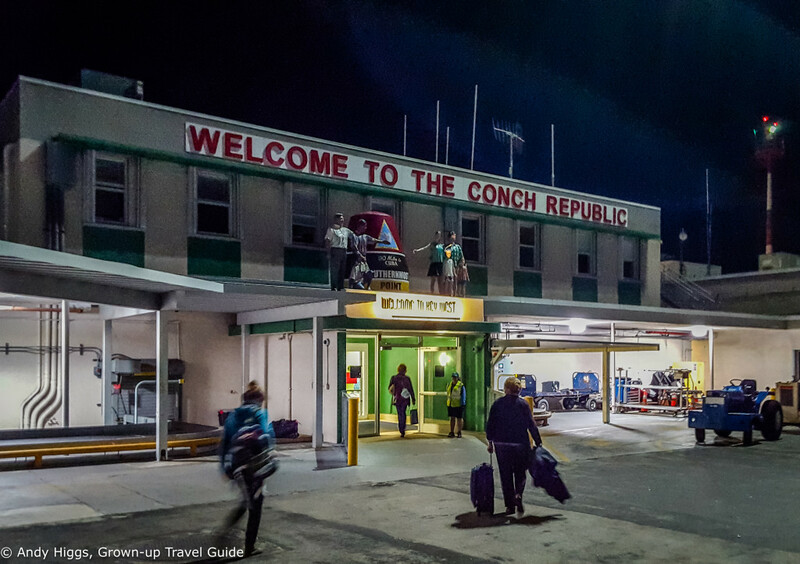 You’ll hear residents referred to as “conchs” (pronounced “conks”) and the town itself as the “Conch Republic”. This harks back to a typically bizarre and very Key West episode in 1982. 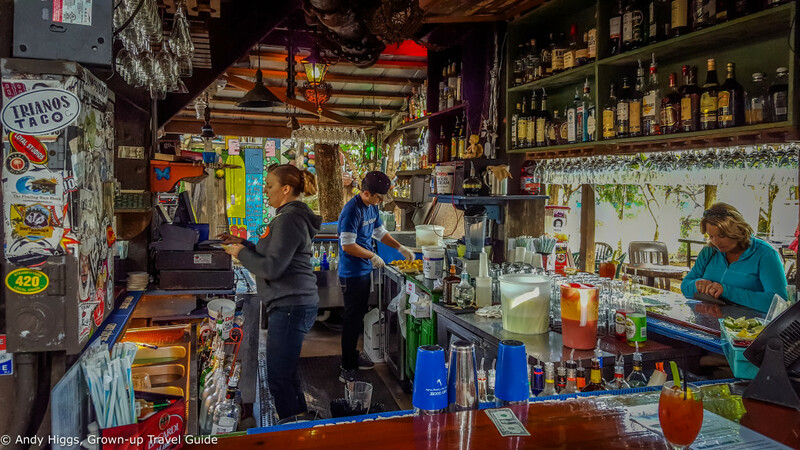 In April of that year a roadblock was set up at the last watering hole on the mainland before the Overseas Highway begins its over-water section, the Last Chance Saloon. It was supposed to stop illegal immigrants but stemming drug trafficking was likely another aim. The roadblock essentially cut the island off as it blocked the only route southwest – traffic jams up to 17 miles long resulted and tourists stayed away. After he was unable to have the roadblock removed in the courts, the mayor of Key West formed the “Conch Republic” and declared itself independent from the US on April 23. The Republic declared war on Washington to up the ante a little. Battle commenced as stale bits of Cuban bread were fired into the air and the Mayor then surrendered to the US Navy and demanded war reparations of USD 1 Billion. No direct response came but the roadblock disappeared. The whole thing was a huge publicity stunt with the backing of community leaders and it worked – Conch Republic Independence is celebrated with a week of partying every year. 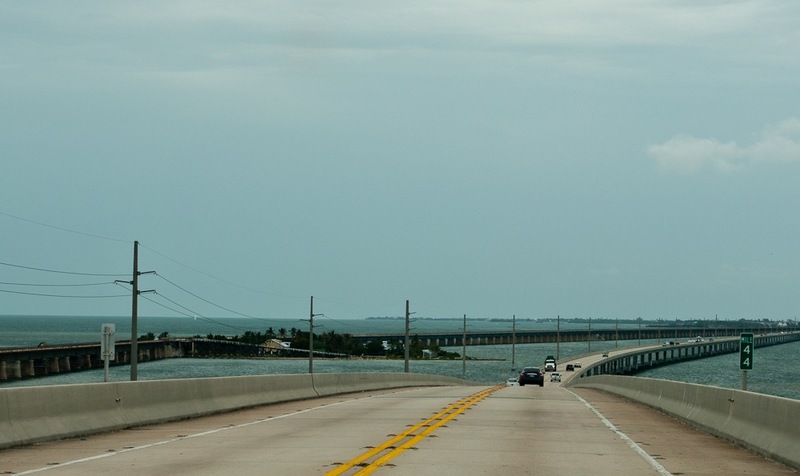 The classic route to Key West is driving the spectacular Overseas Highway from Miami. You don’t need to leave it and indeed for most of the 160 0r so miles (257 km) you can’t as it is the only road. Ideally you’d make the journey on a Harley-Davidson, but wear a helmet even though crazy Florida laws allow you to ride without one. Don’t worry, a car will do just fine, too – and a convertible would be perfect. Allow enough time to enjoy the trip and remember that there are large stretches of single-lane road and many sections where the limit is 45 mph or less so you can’t rush anyway. 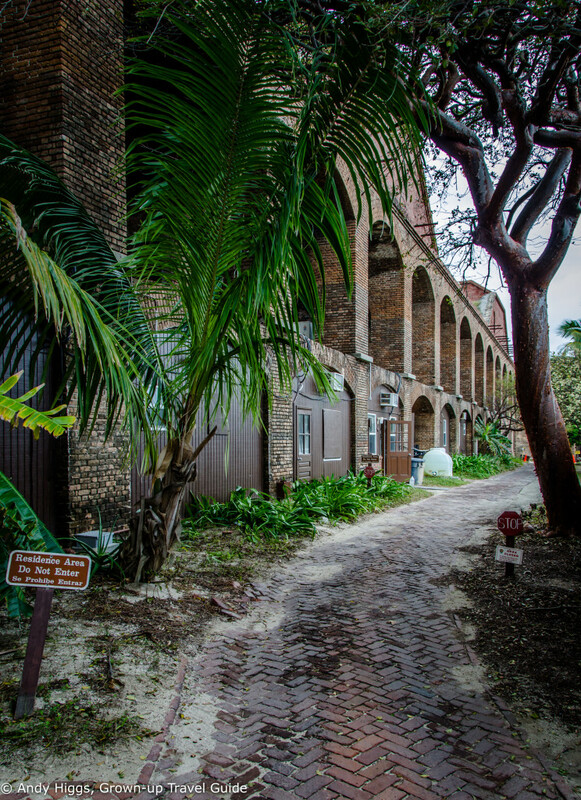 Flagler’s Folly or the Eighth Wonder of the World – or perhaps both? Before the Overseas Highway came the Overseas Railroad, an extension of the Florida East Coast Railway to Key West. Work on the extension began in 1905 and it was completed – against huge odds – in 1912. The man behind this grandiose (many said reckless) plan was one Henry Morrison Flagler, a hugely wealthy businessman who developed hotels and railroads in eastern Florida in the late nineteenth century. Highly observant readers with a good memory may find the name familiar – Flagler was mentioned in my article on St. Augustine and is known for his work developing Miami. After the United States announced plans to build the Panama Canal, Flagler saw the value in linking Key West to the mainland. The town was the country’s closest deep-water port to the Canal which meant it could benefit from Latin American and Cuban business as well as use the Canal to trade with the west. The Overseas Railroad was often mockingly called “Flagler’s Folly” and it was indeed an extravagant scheme requiring groundbreaking construction techniques and at its height 4,000 labourers, some 700 of whom perished during the project and most of whom were treated terribly. It was, of course, hugely expensive in monetary terms too – costing over USD 50 million. Unfortunately, despite being built to resist heavy winds and salt water damage, on September 2, 1935 a category 5 hurricane proved too much for the railroad. Substantial sections of the railroad in the Middle Keys was severely damaged and the Florida East Coast Railway was bankrupt. What was left was sold to the State of Florida, which used much of the remaining infrastructure to build the Overseas Highway to Key West. Most of the original bridges were replaced in the 1980s yet many of the former ones remain in use as footpaths and fishing piers. Or you can fly from Miami. That’s what I did this time, which was of course practical to arrange for a group arriving in Miami from all over the world at different times, and is a lot quicker. 29 minutes from takeoff to landing is all our American Airlines jet took although smaller planes take a little longer. It was a clear night and the route out of Miami offered amazing views of the city at night. Almost before I could get comfortable in my seat it was time to leave it. 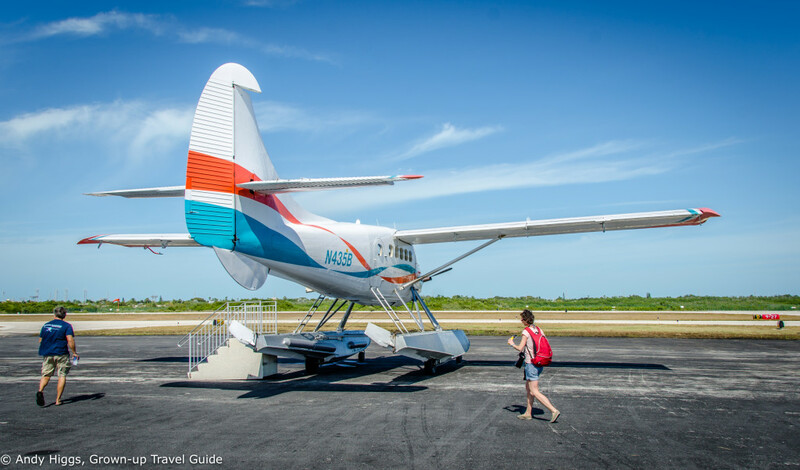 Key West calls itself an international airport but the only flights in or out are domestic. That old independent streak strikes again, perhaps? Flights are not cheap but if time is very limited this is an option worth considering. I would urge you to drive or even take the bus if possible though. 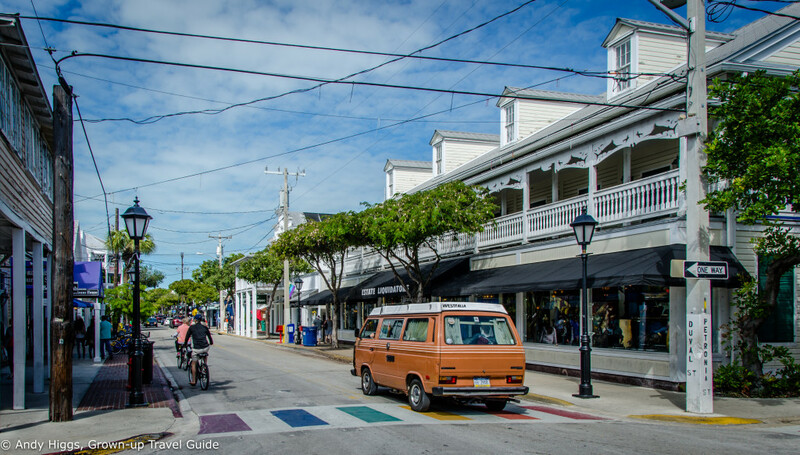 The heart of Key West – at least for tourists – is Duval Street (shown above early in the morning, one of the few times it’s relatively quiet) and Mallory Square at its northern end. 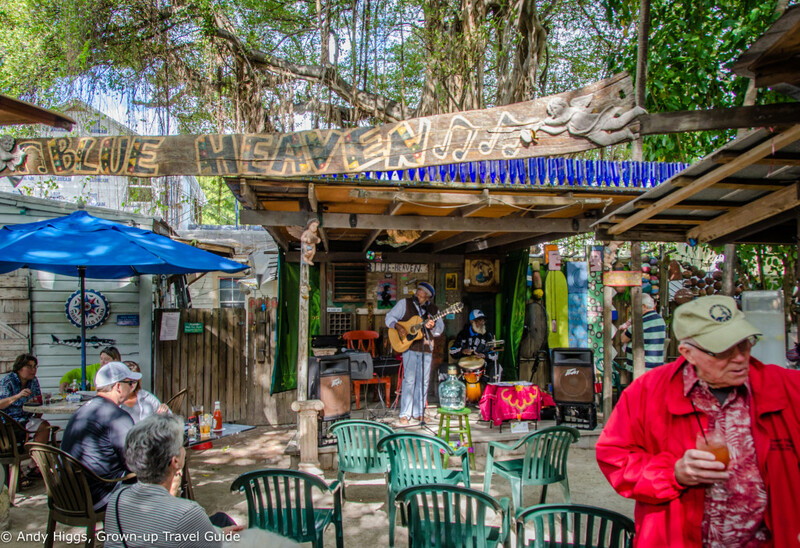 This is where you’ll find a few too many souvenir shops and a number of bland bars, as well as a few gems. There’s something going on 24 hours a day but you’ll probably want to run for cover when the cruise ships dock. 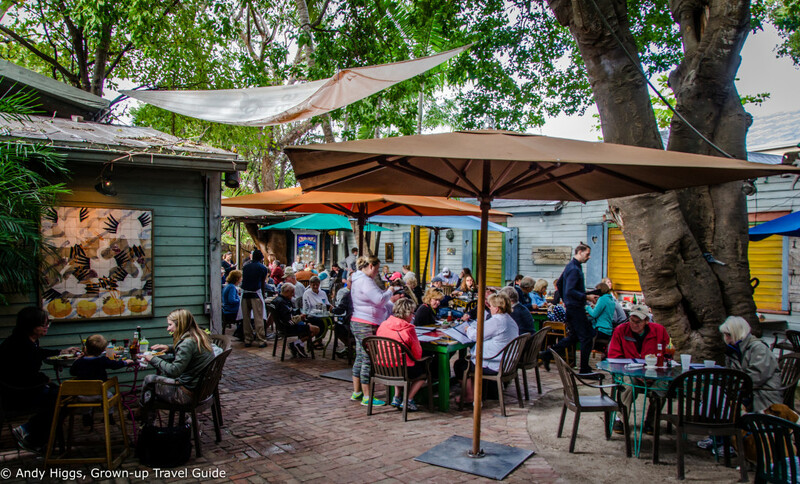 The historic part of town is a few blocks east where things are a lot more interesting; wacky buildings, quaint guest houses and plenty of excellent restaurants can be found here and the area lends itself to aimless wandering. Officially, ‘Old Town’ designates a square mile between Front and White streets and you should give yourself a few days just to explore and drink in the atmosphere. 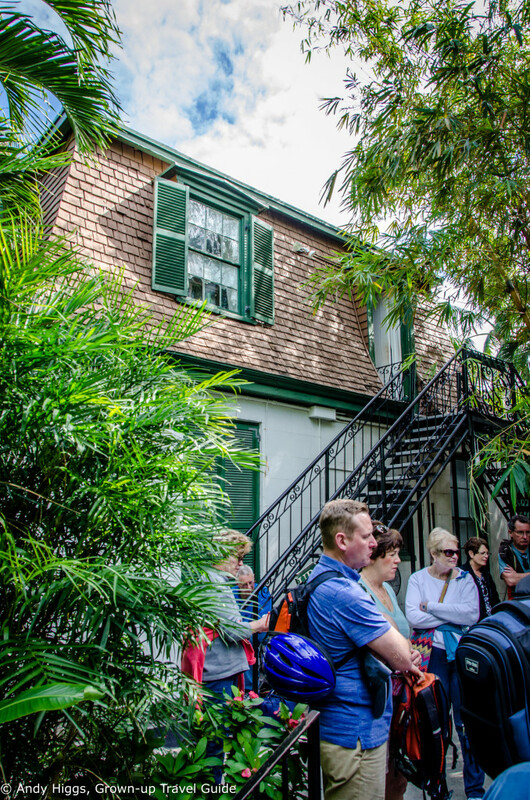 It’s no surprise that the former home of Key West’s most famous resident is also the town’s most popular attraction. Well worth the entrance fee which includes the mandatory but highly entertaining guided tour, it’s a beautiful building with lovely grounds. Another reason for his prolific output and creativity could be his bipolar condition; unfortunately when he swung the other way he ruined friendships and caused major problems. Ernest Hemingway took his own life, just as his father and several of his other relatives did before him. 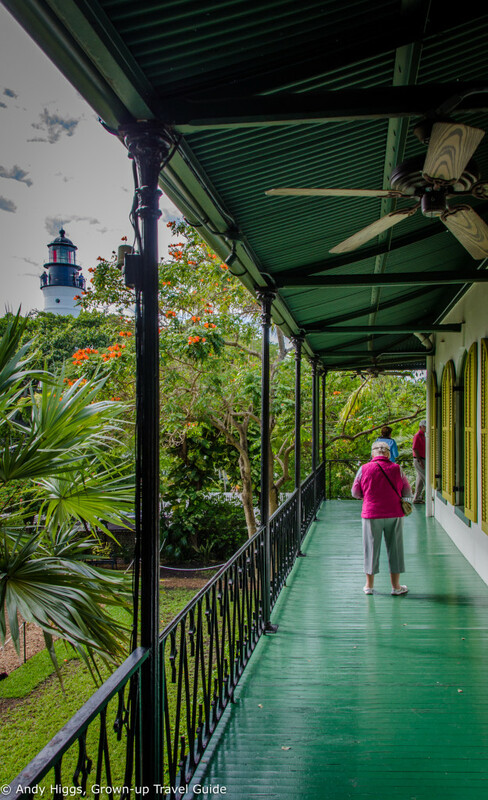 The house’s proximity to this lighthouse made it easy for Hemingway to find his way home after one of his many late nights at Sloppy Joe’s bar. The separate building housed the great man’s study where the magic happened. Many a classic was written here. This water feature was allegedly fashioned from an old urinal from Sloppy Joe’s. 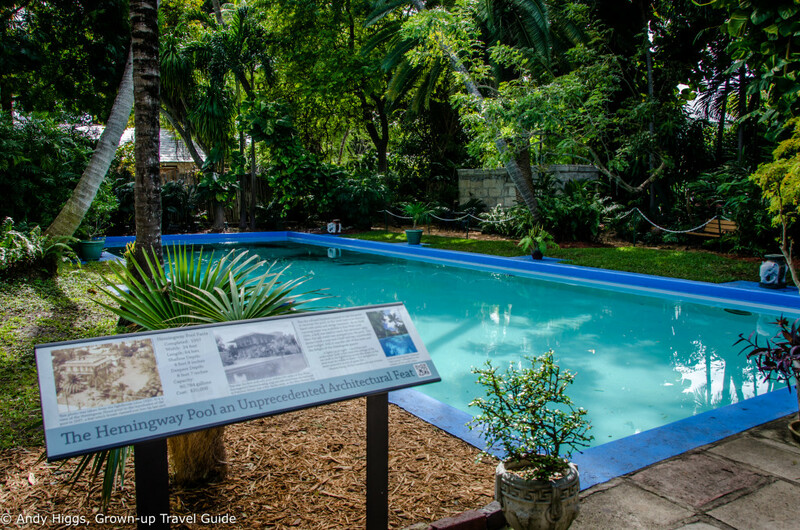 The beautiful swimming pool – it stood empty for quite some time and Hemingway used it for boxing matches until his wife had it completed while he was away. At this point we now had six hours of free time to either recover from jet lag, take it easy or explore Key West on our own. 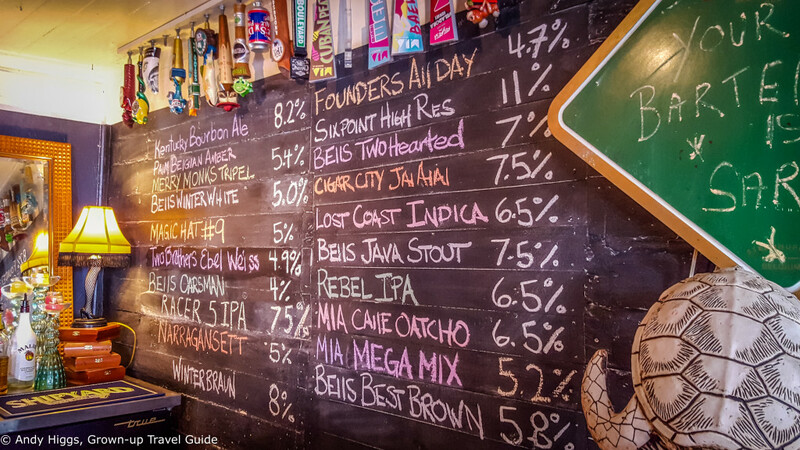 Having just missed the hourly trolley tour and feeling in need of sustenance, a sign on Duval Street caught my eye: “Craft beer” – with an arrow pointing down the road. It had to be fate, so I followed the arrow. 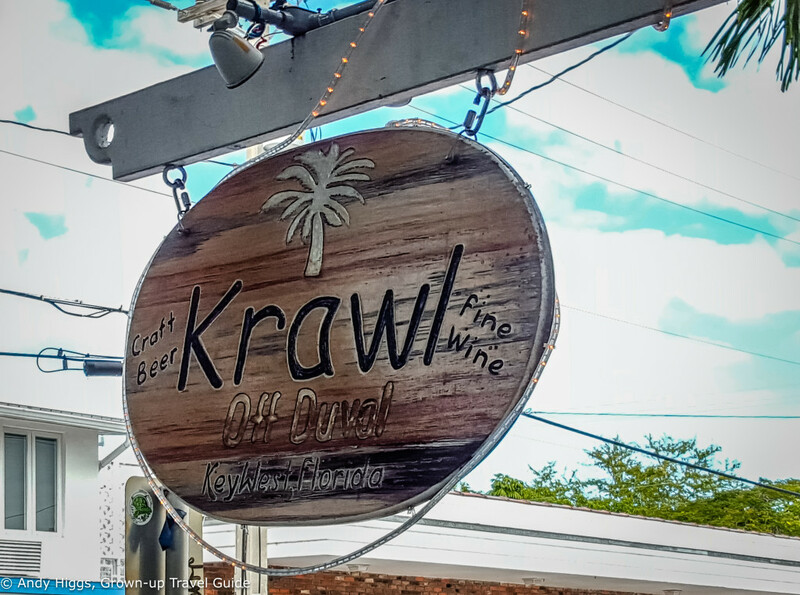 Krawl is a relatively new addition to the Key West bar scene and a very welcome one. Offering a large range of craft beer – the largest in town, actually – both on tap and in bottles, you’ll not be surprised that I enjoyed myself immensely here. It was quiet when I visited; lunchtime is still early for Duval Street. But service was friendly, prices reasonable and it seemed a very relaxed place. If you’re wondering, I tried the Two Brothers Ebel Weiss and the Rebel IPA, both of which were very good. I managed to miss the next trolley tour as well, and resigned myself to the fact that researching the bar scene was just as important as taking a tour I had already enjoyed on my last visit. We chanced upon this hangout on our previous visit, drawn in by the excellent live music and staying for the beer and food. The same thing happened on this occasion, and a quick beer at the bar for old times’ sake soon developed into an entire afternoon making new friends. One thing I love about America is that if you come to a bar alone, it won’t take more than five minutes to get into a conversation with someone – if you want to, of course. Given that Key West is even friendlier than the rest of the country, it took me about ten seconds. Answering a simple “So where you from?” led to four hours of swapping stories, experiences and email addresses. This was better than any tour of the town and one of the highlights of my time in Florida. The live music at Willie T’s was also great, service is superb, it’s about as easy-going as it gets and food is excellent too. What’s more, they have now expanded their selection of beers since my last visit to include several excellent craft offerings. 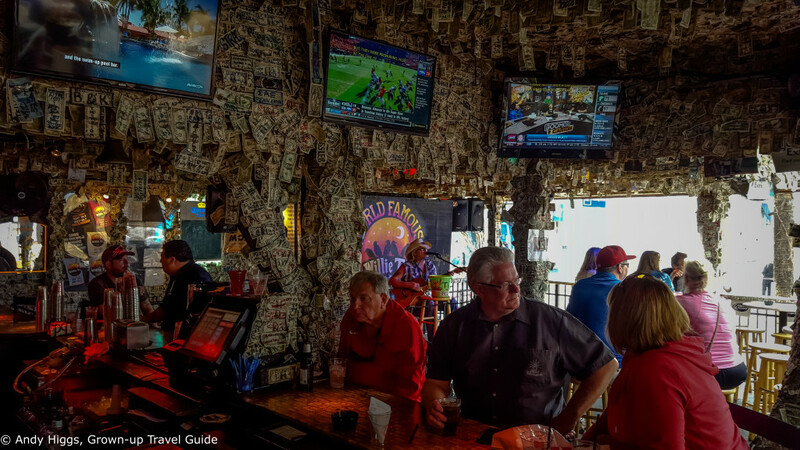 This bar was the original Sloppy Joe’s in Hemingway’s day – right up until its owner was so enraged about a USD 1 rent rise that he moved round the corner. It has a good reputation for live music – when we visited a couple of ageing white guys were knocking a cover version of Cameo’s “Word Up” out of the park – and a popular pool table. It may not be the original but it does have the name – and the pulling power that brings. Seemingly busy all the time, there is live music from noon every day but the quality is a little variable. Originally we were scheduled to go nightboarding (paddle boarding in the dark with LED lighting) from the Ibis Bay Resort where we were staying but the weather turned against us. After a quick vote it was unanimously decided that we would go ghost hunting instead. 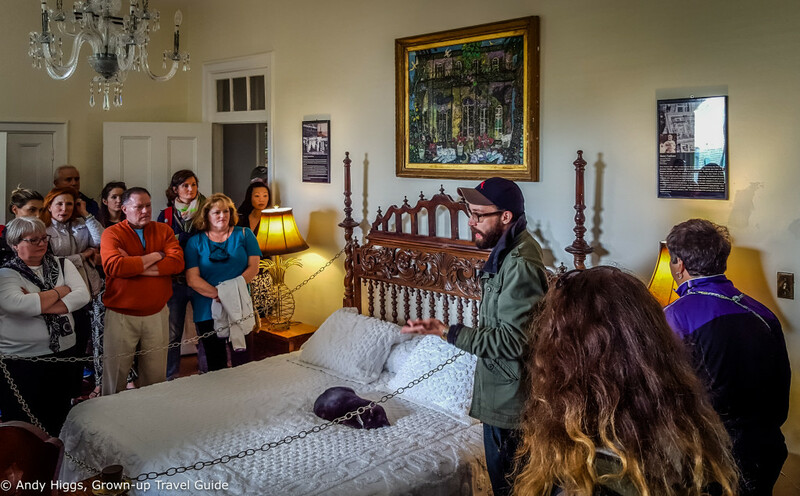 A step up from the ‘standard’ ghost tour, a ghost hunt involves using special equipment to seek out the undead. Created by David Sloan, a prolific local author whose work includes a number of books on the ghosts of Key West as well as the definitive Key Lime Pie recipe collection. From the meeting point we were taken to several locations with spooky back stories and tried our hands at ghost detection. It’s a fun and very atmospheric 90 minutes and well worth the money just to hear the tales told in such a gripping manner. I can’t say I was totally convinced that we made contact, but it was fun trying. 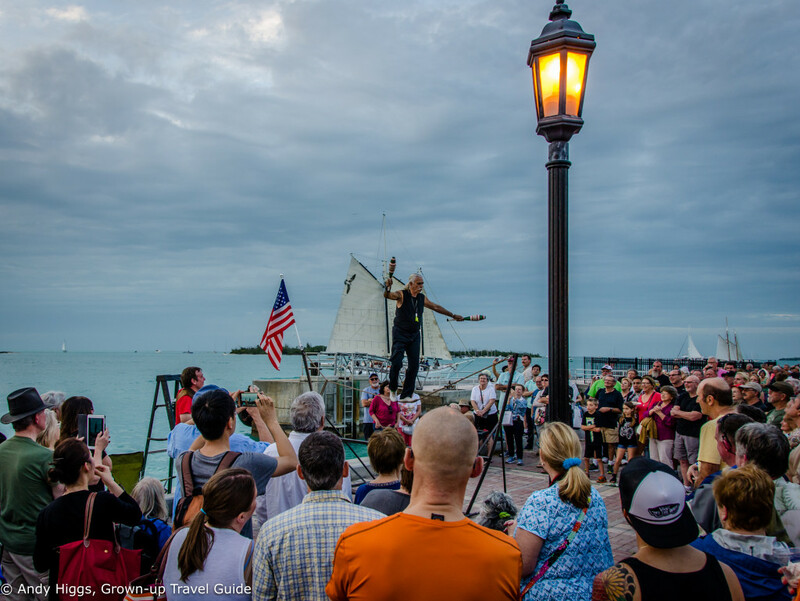 Every night when the sun goes down, street performers, spiritualists, artists and a few borderline weirdos set up at Mallory Square and on the waterfront promenade. Always packed and a little tacky, it’s still a lot of fun. And most of the performers are extremely talented. 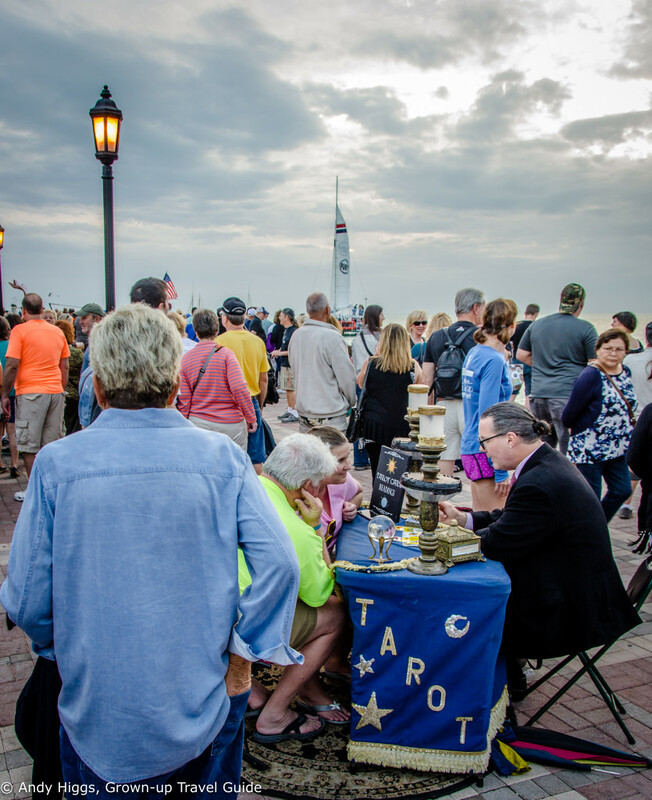 Unfortunately the tarot guy was busy otherwise I would have had a reading. Maybe. This guy has been here for years and is very entertaining – as you can tell by the crowd he draws on a daily basis. 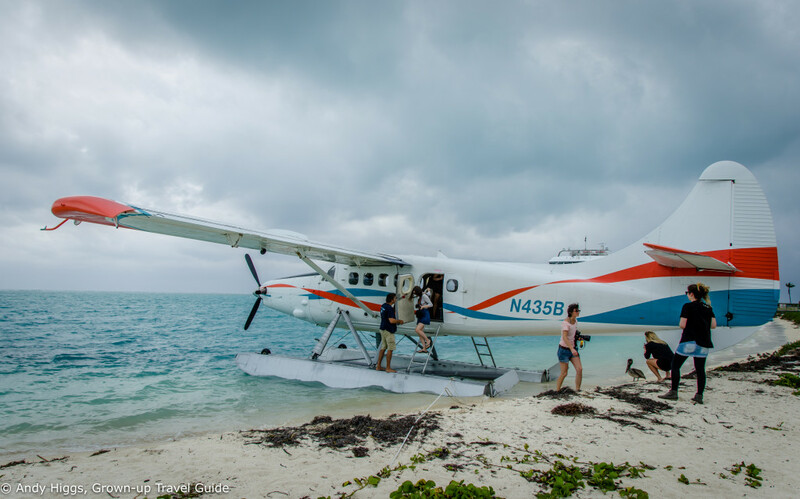 On our second day in Key West we had a real treat – our first trip in a seaplane. 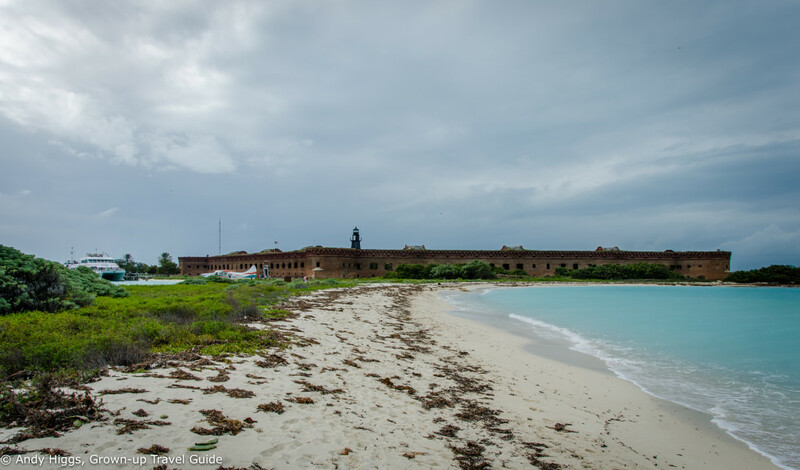 Our destination was the island of Dry Tortugas, some 70 miles from Key West. It is possible to make the journey by ferry but it takes two and a half hours and the crossing can be rough. 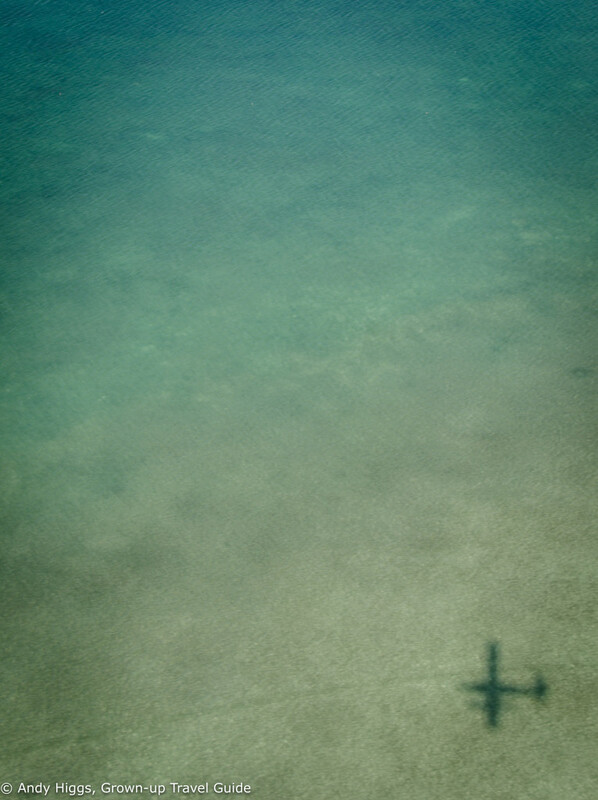 Obviously the seaplane is a lot more expensive, but when you’ve come this far I strongly recommend you go for it. 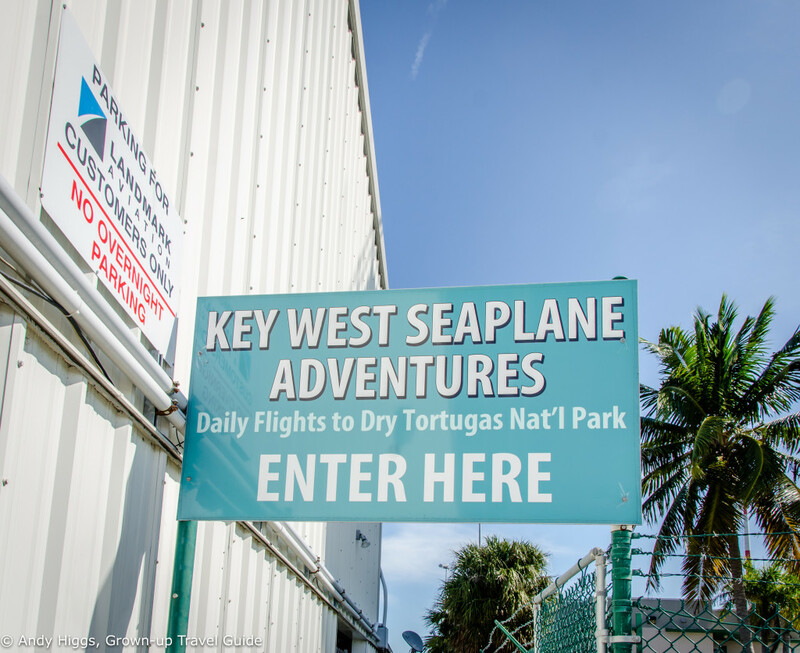 Key West Seaplane Adventures are located at the airport next to the public terminal. 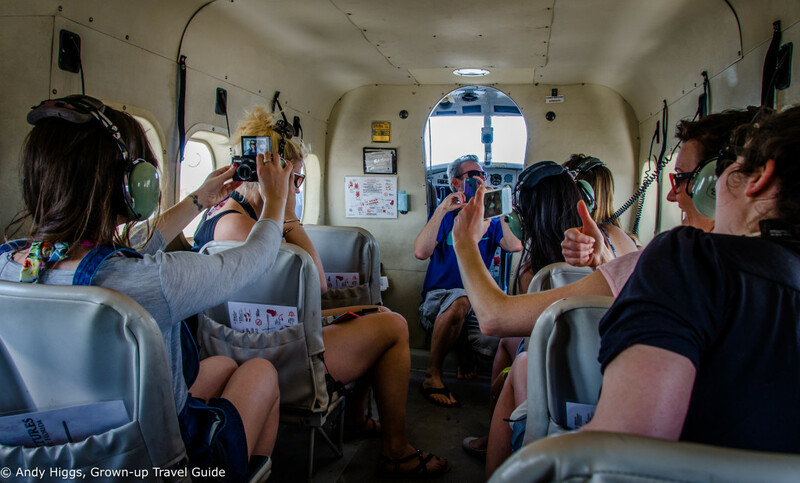 After signing the obligatory waiver (this is America, after all) and an introductory briefing, we were kitted out with snorkel gear and headed for the plane. The seats are comfortable enough and everyone had their own window offering excellent views. It’s noisy, so headphones are provided and piped music filled the gaps between the recorded narration and the pilot’s commentary. 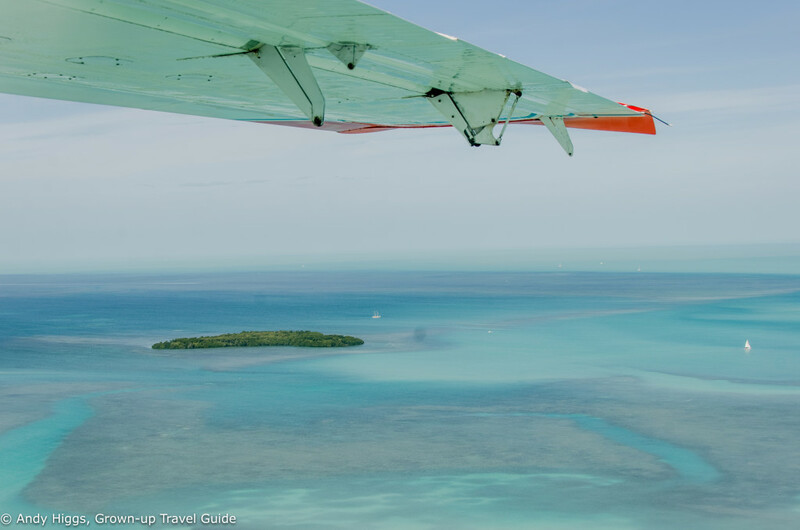 Once airborne we were treated to picture-postcard perfect views of the shallow turquoise water and smattering of mostly uninhabited islands. The journey takes about 35 minutes in good weather. 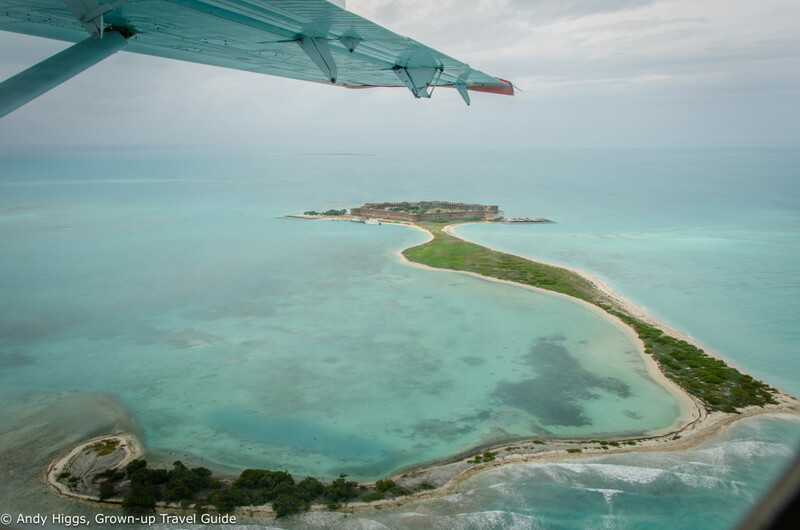 At that point, we could see Dry Tortugas and Fort Jefferson below us. Landing was incredibly smooth, in fact I barely notices we had touched the water. After backing in to shore we made our way onto the sands. 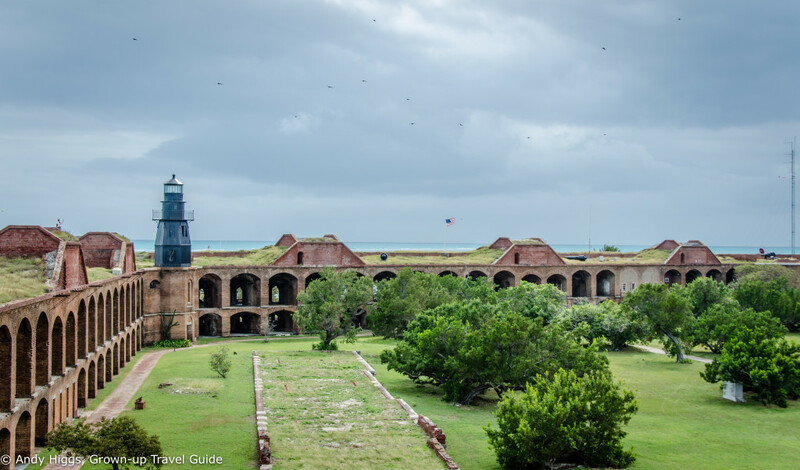 Tours of Fort Jefferson by one of the resident park rangers leave regularly and are free of charge. I decided to join one as it was a little cold for swimming and I was keen to learn more about this amazing structure. An astonishing 16 million bricks were used to build the fort which was designed to protect US interests in the Gulf. It was never completed, even after 30 years of construction. 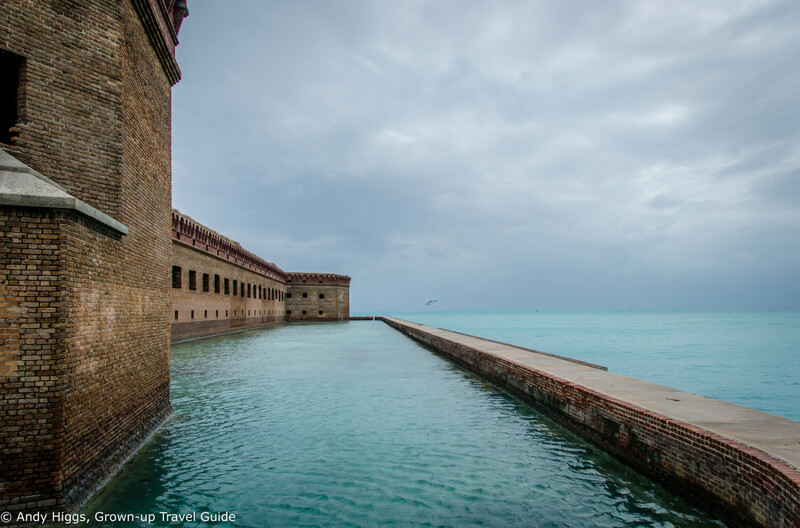 Nature proved a tougher opponent than any foreign power – the lack of fresh water (hence “Dry” Tortugas), outbreaks of yellow fever and fierce weather conspired against it. 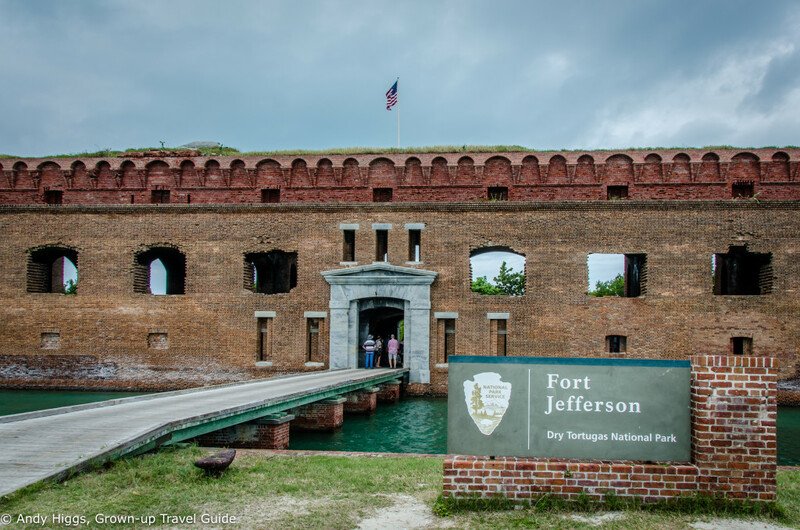 Fort Jefferson became a prison, and one that was almost as unbearable for the guards as it was for the inmates. These days it is home to a team of park rangers protecting the national park. They live rather more comfortably than its former inhabitants but water still has to be rationed and food supplies are brought in once a week. There are a couple of good beaches where you can swim and snorkel, but it was a little too cold and windy for my tastes. Visibility is fantastic and there are a lot of fish, though, so I definitely want to return and try it out. 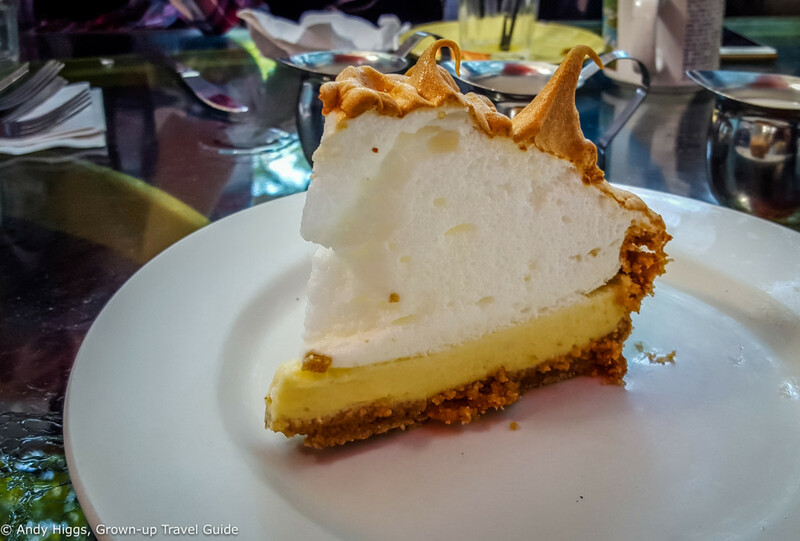 Blue Heaven is rightly famous for its breakfasts but even more so for its signature Key Lime Pie. Make a reservation or be prepared to wait at the bar for a table (no big problem, after all). In the past, boxing matches refereed by Ernest Hemingway were held here but these days live music has taken their place. 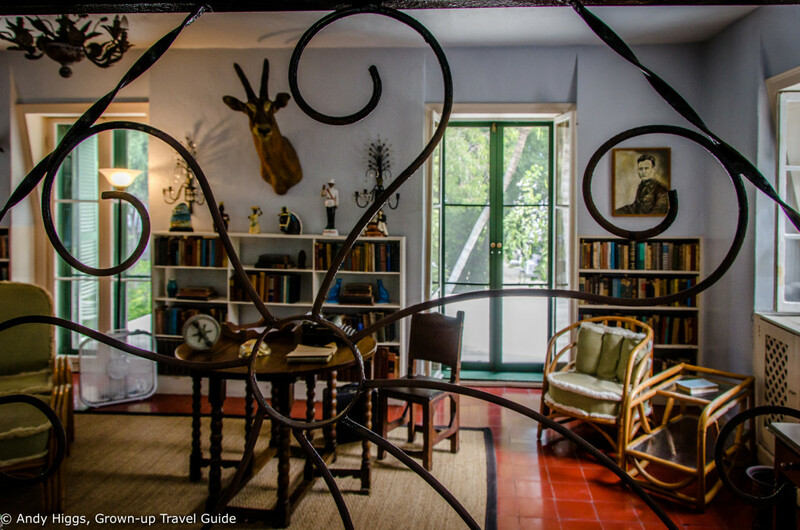 You can also just come for dinner or just a drink – but just make sure you visit. 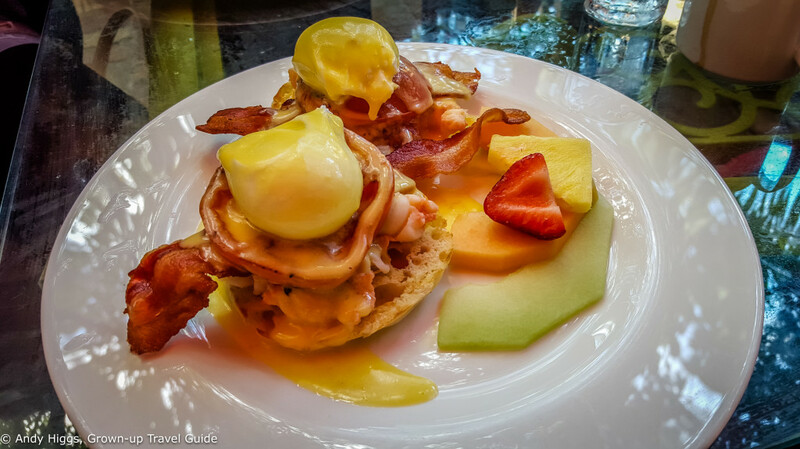 I was tipped off about the lobster eggs Benedict BLT (bacon, lobster and tomato) and it was indeed the stuff of food fantasies. The banana bread here is something else too; so order a side with your brekkie. No, I didn’t eat all that but we shared a couple of plates, and in my humble opinion this is the best Key Lime Pie you will ever taste. The wave of meringue topping the delicious filling is the coup de grace; light and not overly sweet, it is simply (blue) heaven. 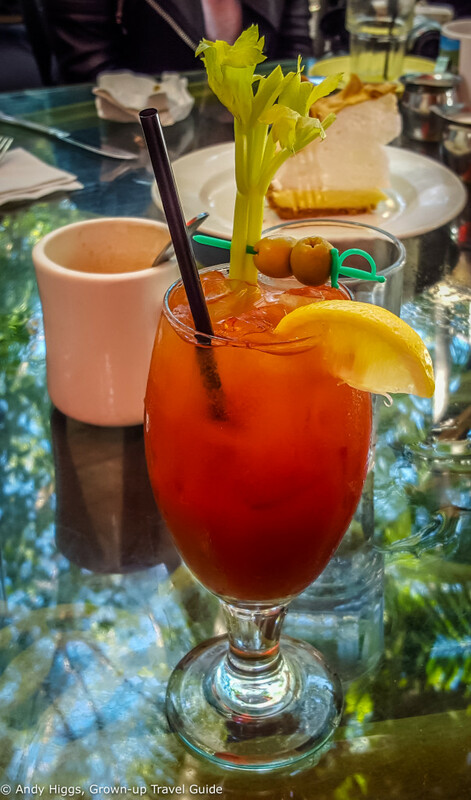 In the course of my research I discovered that a bloody Mary makes a fine accompaniment to Key Lime Pie. Who would have guessed? 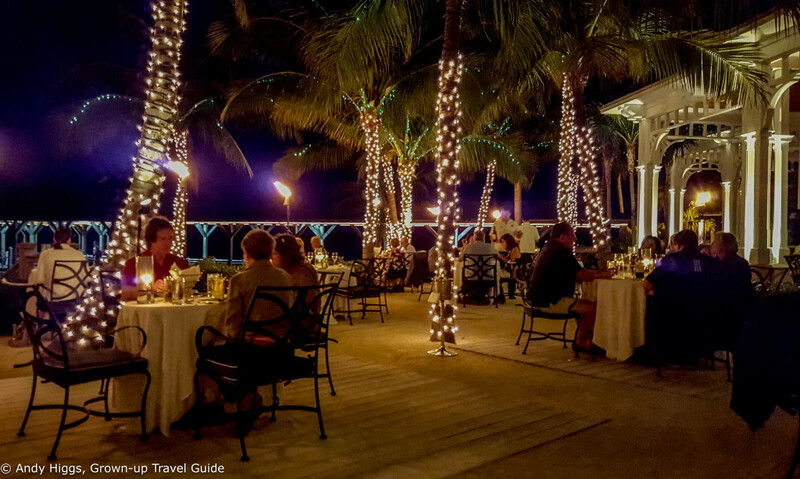 If you want to impress your dining partner – or just to have probably the best meal in Key West – reserve a table at Latitudes, the restaurant of the extremely fancy Sunset Key Cottages resort. It’s a special experience right from your arrival. Sunset Key Cottages takes up half of an island in the bay and is reached by its own private ferry. 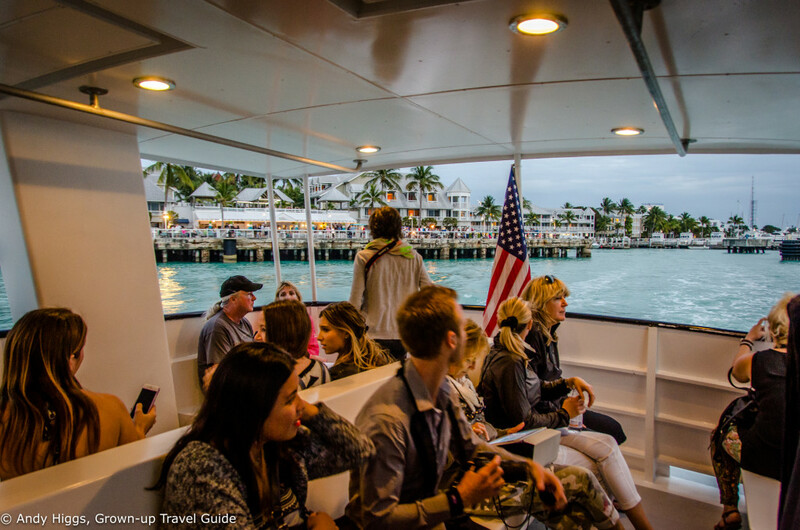 The journey over takes just 10 minutes and passengers get a nice view of Key West as they leave the dock. Arrival at sunset is about as charming as it gets. If the weather allows, dining outside is a must. 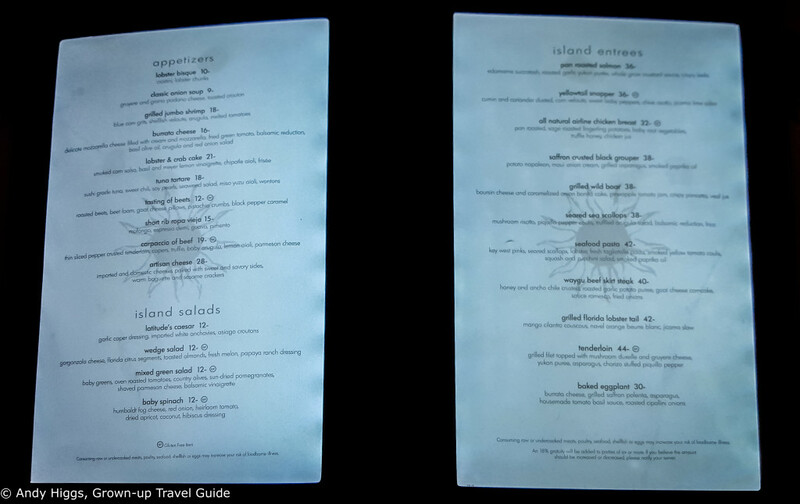 Instead of guests straining their eyes or lighting up their mobile phones to read the menu, these ones are backlit. A neat idea that nobody else seems to have though of. 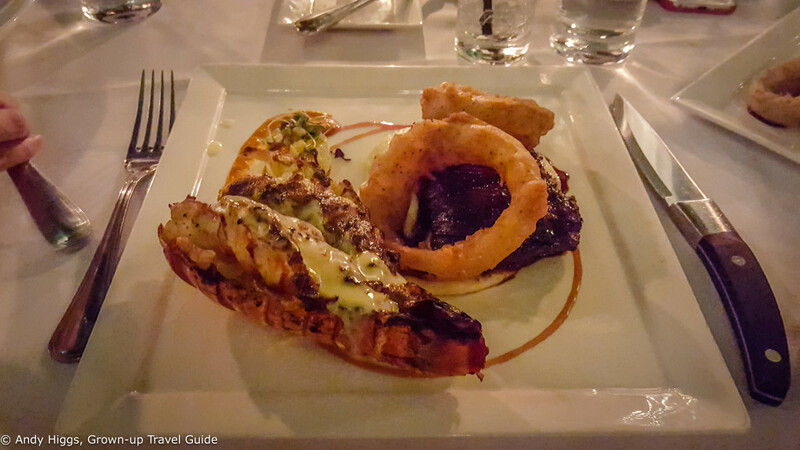 We ordered a little of everything from the starter menu and I went for the Waygu beef with lobster. All the appetizers were nothing short of sensational and I have never tasted such tender steak in my life. It’s no surprise that head chef Brendan Orr is the talk of the town. Although I wasn’t paying, I noticed that the prices were not unreasonable for such fine dining – I’ll be coming back here with my family for sure. Phew! That was rather an epic article, as the kids would apparently say. 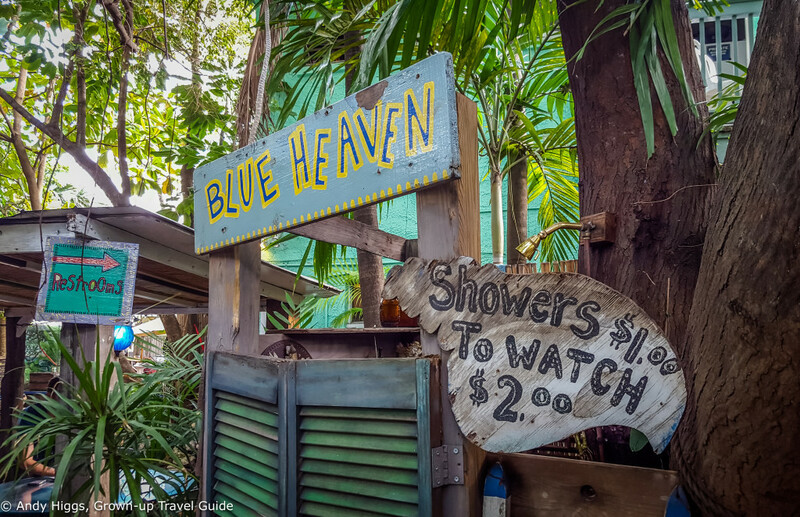 I only really scratched the surface, too – but I hope it whetted your appetite to visit Key West. 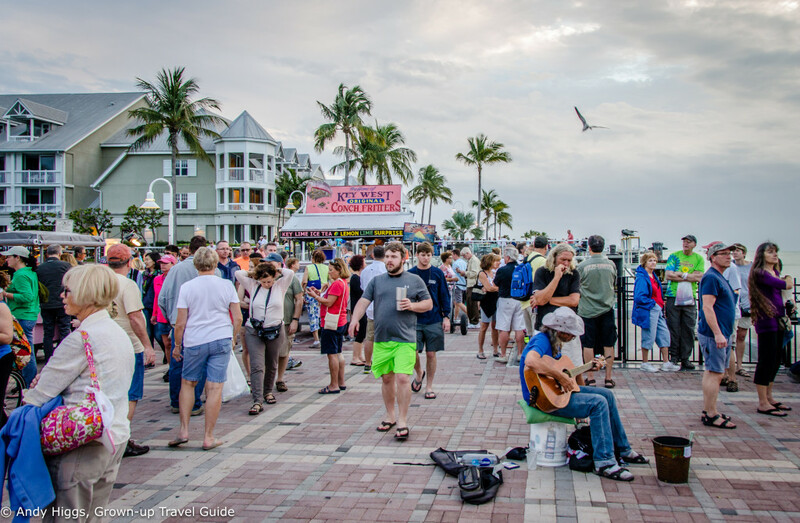 Go have a look at the official Florida Keys and Key West website to find out more. 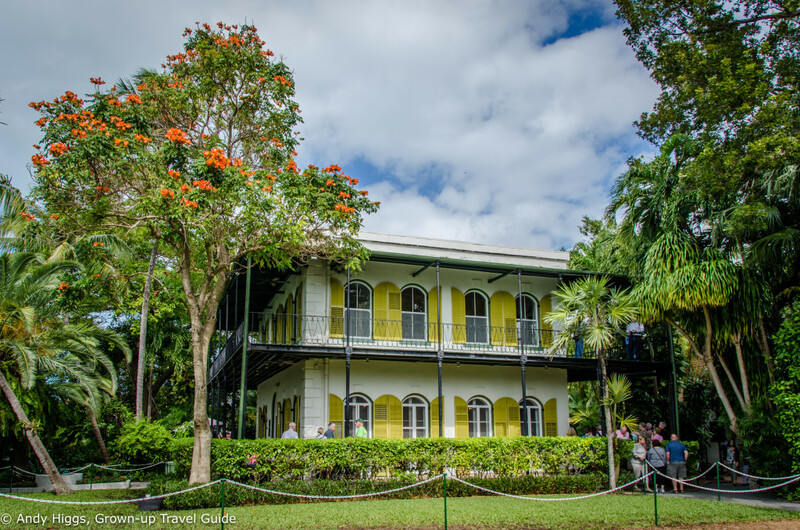 In upcoming articles I will also review the Key West hotel where we stayed which I highly recommend before moving on to the last few days of our stay which was spent in the Middle and Upper Keys. And Bloodline fans, watch this space for an article on locations used in the series! For et sted. Visst det skulle være et must å dra til Key West, og her er det enda flere grunner. Herlig med en omfattende artikkel!